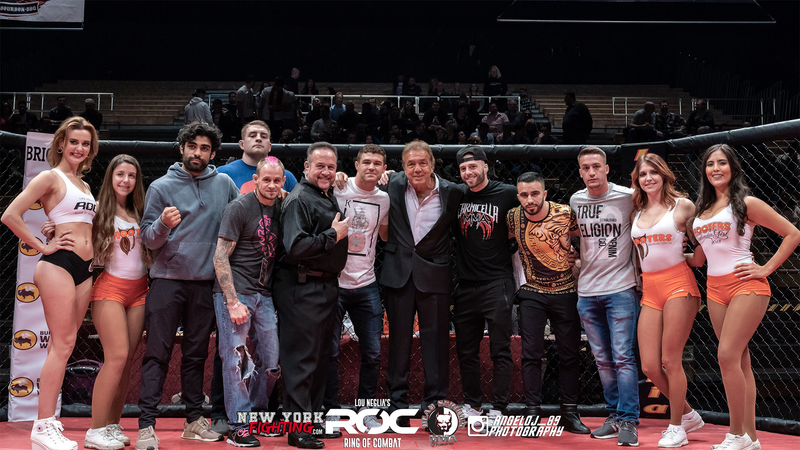 Ring of Combat 66 Results | Lou Neglia's Ring of Combat | Next Generation of Mixed Martial Arts! Ring of Combat finished 2018 with a bang! If you were in attendance, you witnessed why ROC continues to be the premiere MMA show along the entire east coast. Each card features competitive fights in turn making great fighters. ROC 66 was a title elimination fight card for an all championship event on February 22. ROC 67 will be our 16-year anniversary featuring six title bouts! More information coming in the next few weeks. See ROC 66 results below.